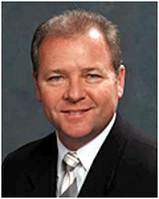 Meet Dr. Glen Batson, D.C.
Dr. Glen Batson attended Palmer College of Chiropractic, earning his Doctor of Chiropractic degree in 1988. Establishing Batson Chiropractic in 1989, Dr. Batson has been treating patients and providing relief from spinal and neuro-musculoskeletal pain to the residents of the Chicagoland suburbs, Chicago, and surrounding states for over 30 years. Dr. Batson is a member of the Illinois Chiropractic Society. Dr. Batson developed, lectured, and was certified in the Video-Fluoroscopy (motion x-ray imaging) postgraduate certification program at Palmer College of Chiropractic in 1993. Studied the Pierce Result System™ directly under its founder Dr. Vernon Pierce D.C., and has lectured at Palmer College of Chiropractic and nationally on chiropractic techniques and imaging procedures at the postgraduate level. Dr. Batson is a member of the Willowbrook/Burr Ridge Chamber of Commerce and the Willowbrook Kiwanis Club. Dr. Batson also consults/lectures with many organizations, municipalities, and businesses for the education of work place ergonomics and spinal care, with the emphasis on preventative care.